Whether you have a concert to see at the O2 Dome or have a table booked in one of the 20 top bars and restaurant, we can pick up your group from any of the London piers, please see our river map for a full list of piers and click on your nearest pick up point for more info. On your cruise down or upstream stream to the O2 Dome, we can provide drinks, canapes, music and even a champagne reception if required. The O2 is a world of entertainment under one roof. Enjoy the state of the art live music club indigo, 11 screen multiplex cinema, major exhibition centre - The O2 bubble - and over 20 top quality bars and restaurants in which to eat, drink and party seven days a week. 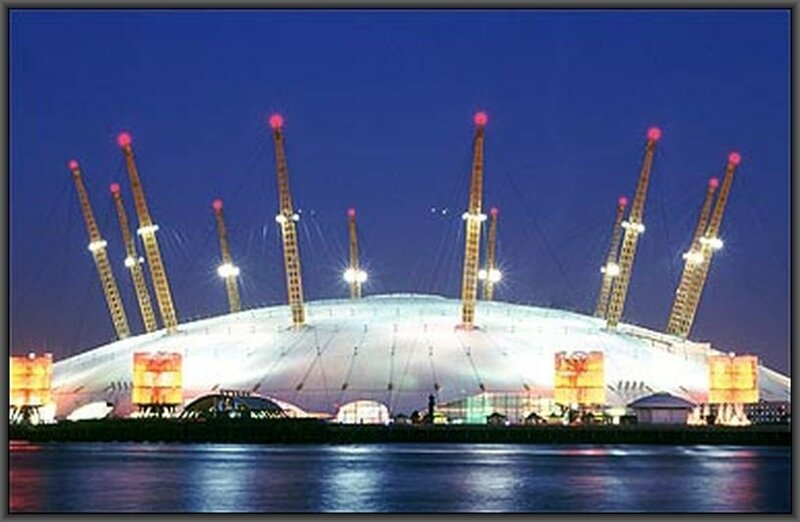 London Party Boats Ltd can take all the hassle out of getting you, and your guest to your event at the O2 Dome. The arena at The O2 truly creates a new benchmark in what both fan and performer can and should expect from a rock or pop concert in the UK. You will only see the world's hottest and most sought after acts on this stage; Bon Jovi, Justin Timberlake, Scissor Sisters, Prince, The Rolling Stones, Elton John, Take That and what a way to enjoy them. With perfect sight-lines from every angle, crystal clear acoustics, obscenely comfy seating, wide concourses between aisles and a huge variety of snack and drink options to enjoy throughout the show. We've even put paid to that excruciatingly painful and frustrating tradition of the 'fifty minute queue for the loo' by fitting 548 toilets. The O2 arena can be transformed from a concert venue into a breathtaking world class sporting arena within hours and will proudly host major events throughout the year. The O2 are dedicated to promoting and supporting British sport, and as an official partner of London's successful bid to host the 2012 Olympic Games we will be hosting both the gymnastics and basketball finals. The O2 opens at 10am and is open till late. Tickets for events at indigO2 can also be purchased from The O2 arena Box Office or from Ticketmaster. Please note tickets can only be purchased from the The O2 arena or The O2 bubble Box Offices in person. For telephone bookings, please contact Ticketmaster on 0871 984 0002. We can transfer 1 to 1000 passengers from Central London down to the O2 with food, entertainment, and a fully licensed bars onboard all vessels (except our high speed RIB).